(4) Rotor Inserts 9-Place 15mL for Concical Tubes . New Life Scientific, Inc. These inserts are in good cosmetic condition with minor wear. 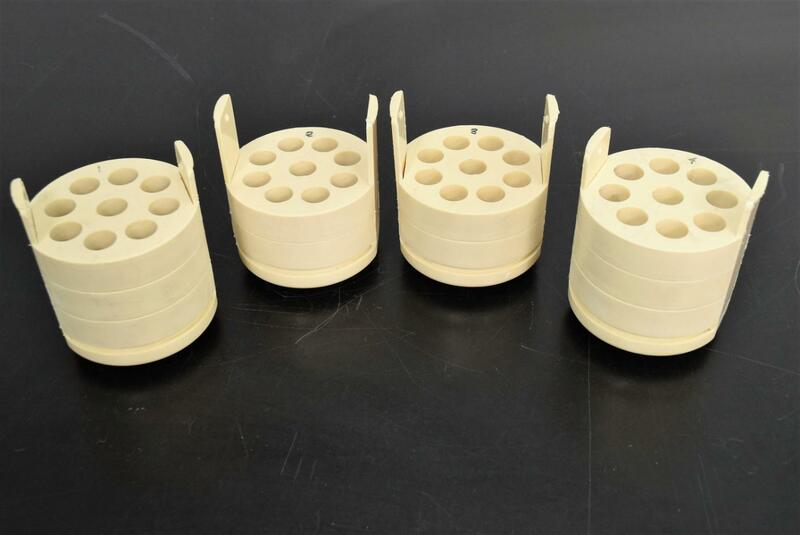 They are used in round swing buckets; the inserts are for 15mL conical tubes and hold up to 9 tubes.